"I served on 2 WILPf national boards with Georgia, we had..."
"I knew Georgia through WILPF and the Aurora Chorus and she..."
"The members of Women's International League for Peace and..."
"I also appreciated her book suggestions, forthright..."
"Georgia was a great activist for peace and social justice..."
freedom, and equality for all." 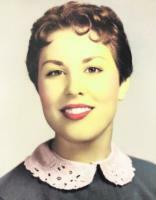 Georgia Lee (Jackson) Pinkel, 73, resident of Vancouver, WA, passed away Feb. 6, 2016. She was born March 29, 1942 Chicago, IL to Verlin Horace Jackson and Leona Lillian Jackson. Georgia is survived by two sons, Robert Henry Pinkel III and Christopher Spencer Jackson Pinkel; one grandson, Derrick Jackson Pinkel; and one great-granddaughter, Helen Grace Pinkel. Services will be held at UUCV in Vancouver, WA, Sat., Feb. 27th at 2:00 p.m.
Memorial Contributions can be made at services in the name of UUCV.